Daniel Borden is a thirty-year-old government accountant who lives a quiet life and plays by the rules. But when events transpire that shatter his orderly world and a team of assassins mark him for death, Daniel must flee for his life. While on the run, Daniel encounters Laura Sky. Carefree and easygoing, Laura is everything that Daniel isn't. But when the killers assigned to eliminate Daniel find him at Laura's bed-and-breakfast, gunfire erupts and the two set out on the run once again. I enjoy books that take me along for the ride. By that I mean books where the reader isn't left behind, they get swept up in the action. Brandt Dodson's books are always like that and his latest work is no exception. 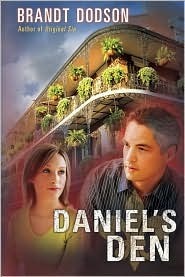 Daniel and Laura are characters that engage the reader and make you feel for them. You really get to see into their lives and see the struggles that they make. The two are living separate lives until they get thrown together and have to join forces to survive. 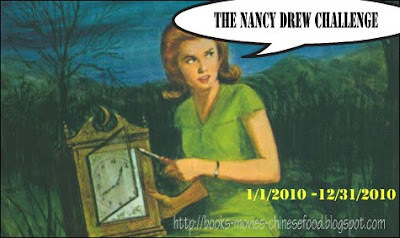 The book is filled with action, suspense, mystery and romance. It's really quite the thrill ride that I enjoy so much. The chemistry between the two leads is great and Laura's relationship with her son is touching. There are times when she does act a little overbearing but it's totally understandable. The action is intense but not overly violent. The story is not graphic but it's told in a way that keeps you on the edge of your seat. While this book was fun to read, I didn't enjoy it as much as I did Dodson's previous series, the Colton Parker mysteries. It may be due to the fact this is a single standalone title where as the others are a four book series. Characters didn't get to fully develop and grow over a long period of time. Also this book felt a little bit more preachier and less edgier than past books. However this was a really page turner and hard to put down. I read this book during the 24 Hour Readathon and this book flew by for me. As I've said before if you are trying to get a male in your life to read, give him one of Brandt's books. This is another gem to recommend for a good guy read.